In villages throughout Sumba Island on the Indonesian archipelago, women weavers produce cotton textiles that are renowned for their beauty and the great variety of patterns and motifs. The weavers spin the cotton, make the natural dyes and design the traditional resist-dye patterns and motifs that symbolize the life and cosmological beliefs of the Sumba people. Today, Tenun Ikat Sumba pieces are worn only at special ceremonies that are becoming less frequent. 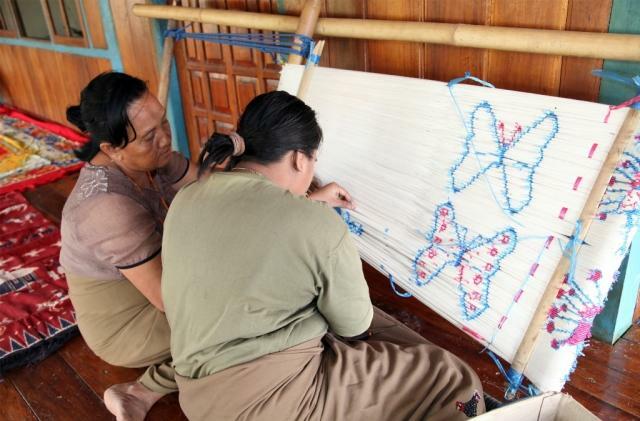 The number of weavers is decreasing and they face competition from factory-made textiles. Authors and personalities: Abang Rahino, director.